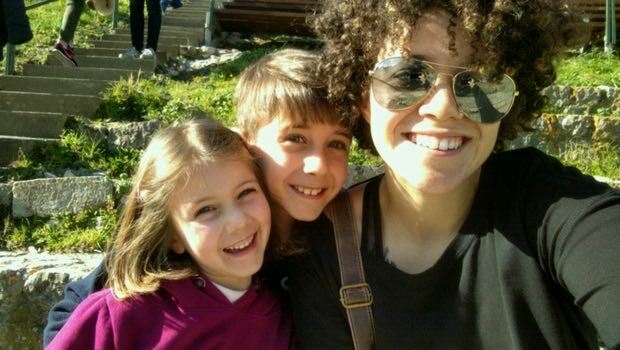 English Conversation Coach Jordyn bonds with her host siblings in Italy. Photo courtesy of Jordyn H.
When you see the word "teacher" or "tutor," you probably have a good sense of what these positions entail. But what is an "English Conversation Coach?" A coach helps non-native speakers with their conversational English (both speaking and listening skills) through games, activities, and sometimes just plain conversation! So what makes an English Conversation Coach role particularly unique? You don't need formal English tutoring experience, nor do you need fluency in the host country's language. What you do need is maturity, flexibility, enthusiasm about travel and living with a host family, and a desire to experience your host country like a local. On this volunteer program, you'll live with a carefully screened host family and provide 15 hours of English tutoring per week. In exchange, your host family provides a private bedroom and all your meals. Each family expects something different from their Conversation Coach, so no coaching role is exactly the same! Some families seek more of a conversation partner where you're just speaking English naturally as you participate in their daily activities. Others want a Coach who will sit down with the kids at the table with a workbook or English homework for a set number of hours per day, on specific days. InterExchange will provide sample activities, games, and access to ESL resources so you'll feel confident working with your students. Once we have a potential host family for you, you'll have a chance to chat with them while you're still in the U.S. to determine if they're a good match. This is also a great time to find out any topics in English they want to work on and to ask any other questions you have. One of the most loved aspects of the program is its flexibility. Since you'll tutor for just 15 hours per week, you'll have plenty of free time to explore, meet up with new friends, take language classes, or even embark on adventures with your host family. You'll not only learn a lot from your host family; you'll also have the opportunity to share your favorite aspects of your own culture. 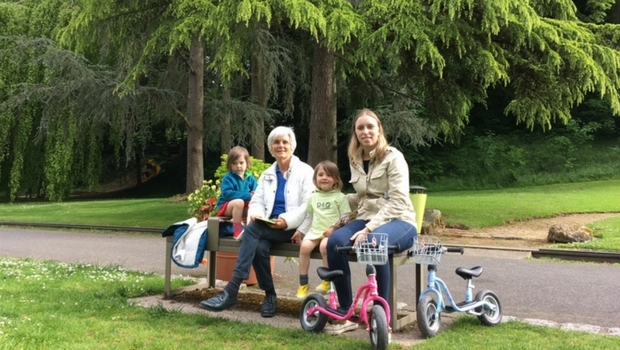 Mary relaxes in the park with her host family in France. Photo courtesy of Mary S.
Flexibility isn't just relegated to your coaching schedule; you can also choose how short-term you want your program to be. You can participate for as little as four weeks and for as long as 12. We accept applications year-round, so just submit yours at least three months before your desired start date. The English Conversation Coach program is perfect for someone seeking a short-term abroad program and who doesn’t have much teaching experience. It’s also ideal for anyone excited about getting to know a country and its locals on a deeper level, and for anyone who doesn’t want a huge volunteer commitment. If you haven’t taken the leap yet, consider being an English Conversation Coach. It’s a great way to experience another culture and help others without breaking the bank! 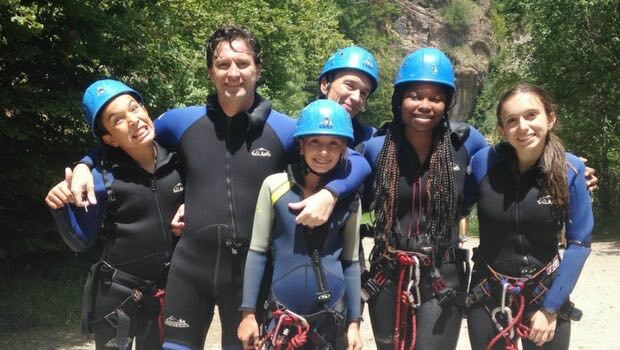 Arie enjoys an exciting outing with her host family in Spain. Photo courtesy of Arie B. If you're looking to gain classroom experience, but don't want the burden of being the lead teacher, check out our School Teaching Assistant programs. Let us know if you have any questions by sending an email to workabroad@interexchange.org or giving us a call at 1.800.597.3675. We look forward to working with you!